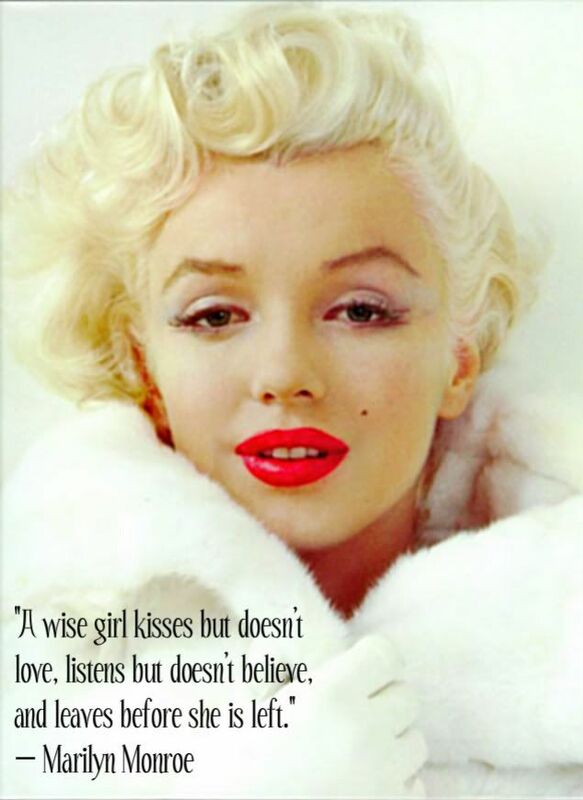 Marilyn Monroe, one of the most famous blonde celebrity, not just for her beauty but she was also popular for quotes and sayings that are cute and inspiring for everyone, specially for women. 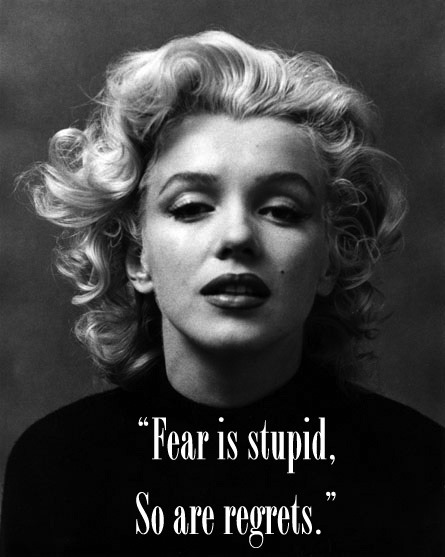 Norma Jean Baker also known as Marilyn Monroe had struggled for many things in life, and it was a miracle that changed her life coming to the film industry. 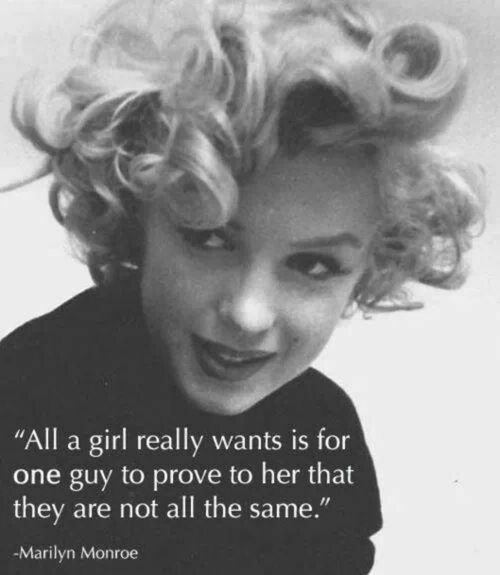 Marilyn had a charming personality that attracted everyone towards her and eventually everything she did as an actress became amazing. 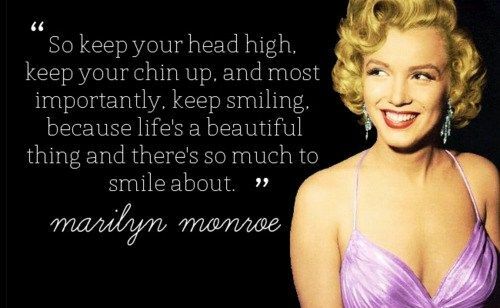 Her beauty has touched every eye and all the camera’s at that time are filled with the graceful smiles, actions and emotions of Marilyn Monroe. 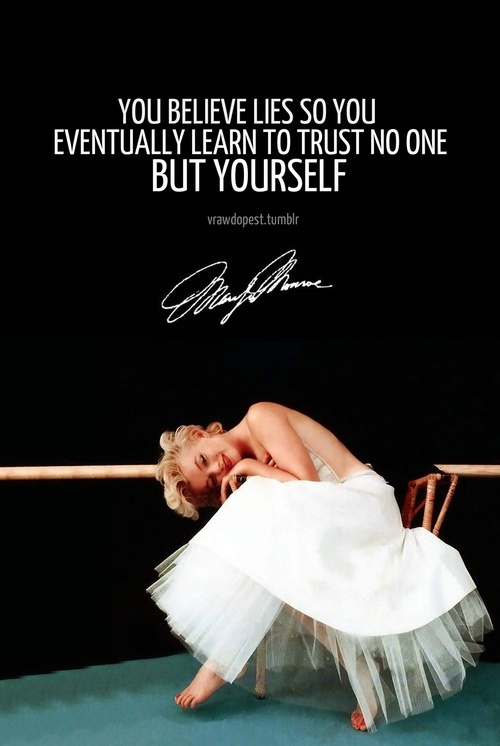 In this post we have selected some of the best most famous quotes and sayings of Marilyn Monroe for you to get inspired as well, so enjoy these beautiful pictures of Marilyn Monroe with quotes! 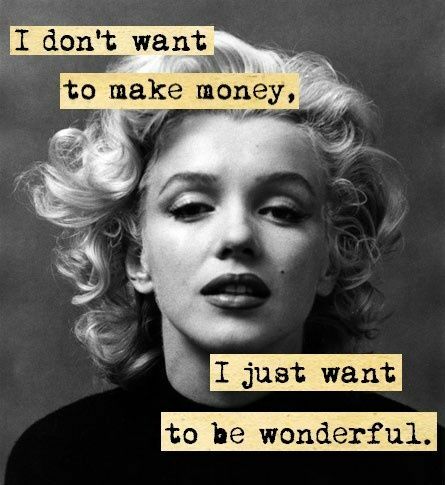 If you like this post than don’t forget to check our earlier post 25+ Dream Girl Marilyn Monroe Tattoos! To all the girls that think you’re fat because you’re not a size zero, you’re the beautiful one, it’s society who’s ugly. 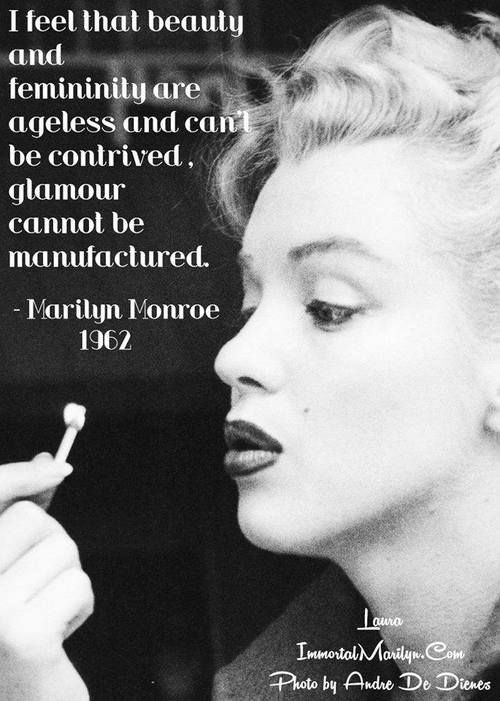 I feel that beauty and femininity are ageless and can’t be contrived, glamour cannot be manufactured. 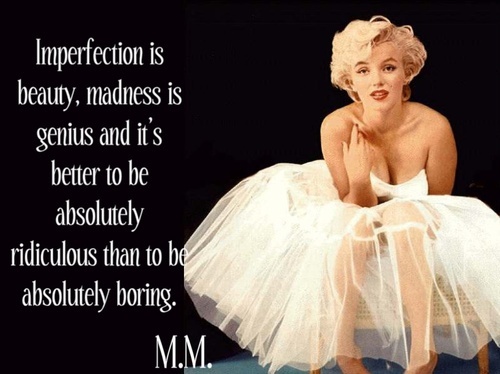 Imperfection is beauty, madness is genius and it’s better to be absolutely ridiculous than to be absolutely boring. 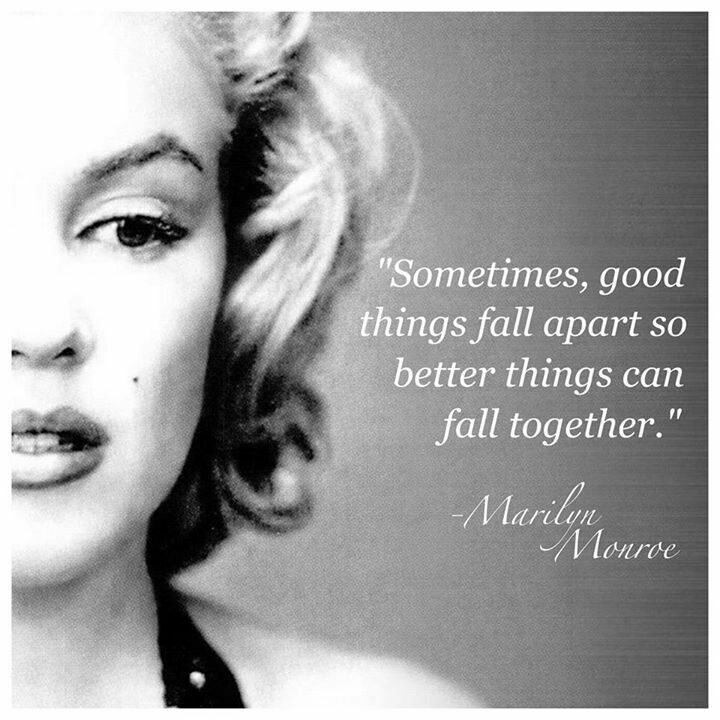 Sometimes, good things fall apart so better things can fall together. 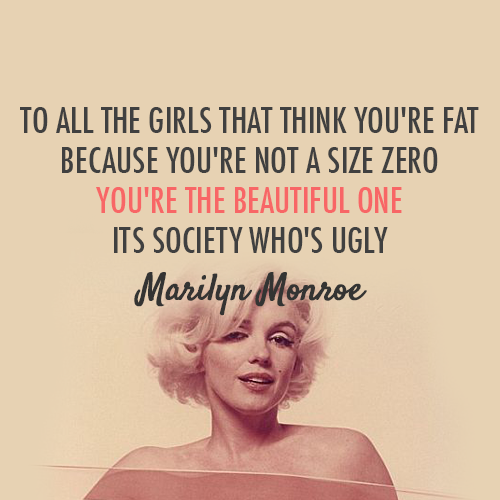 I’m pretty, but i’m not beautiful. I sin but i’m not the devil. 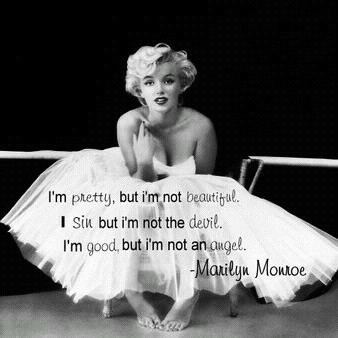 I’m good, but i’m not an angel. Nothing lasts & people change. 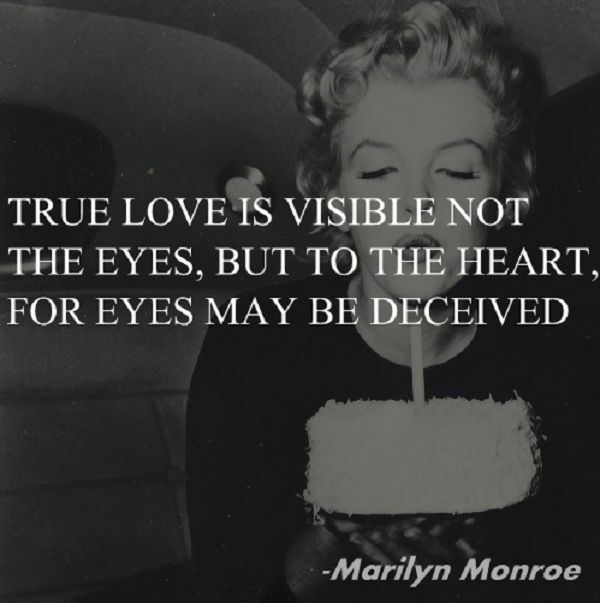 True love is visible not the eyes, but to the heart, for eyes may be deceived. 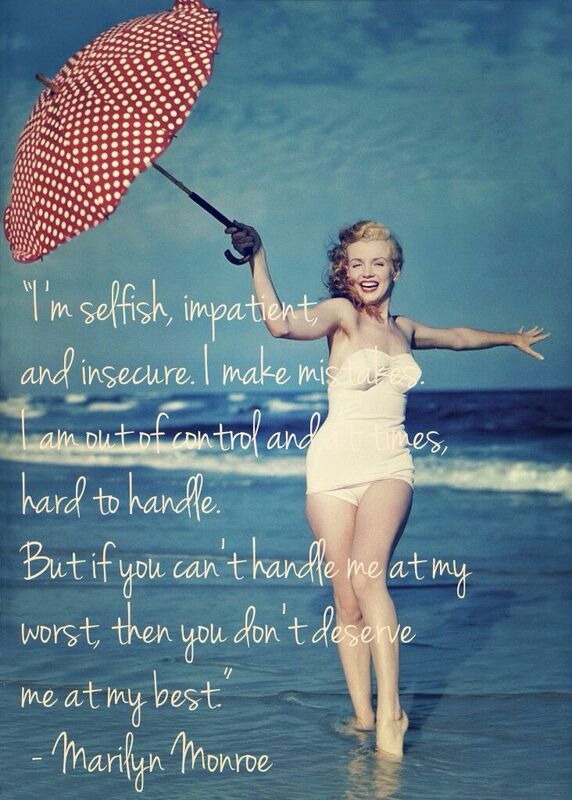 I’m selfish, impatient, and insecure. I make mistakes. I am out of control and at times, hard to handle. But if you can’t handle me at my worst, then you don’t deserve me at my best. 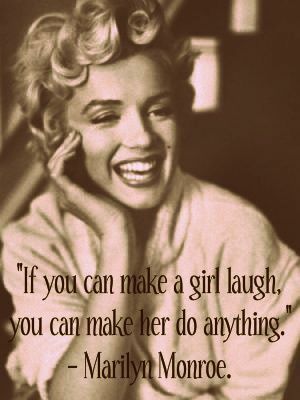 Beneath the make-up & behind the smile, I am just a girl who wishes for the world. 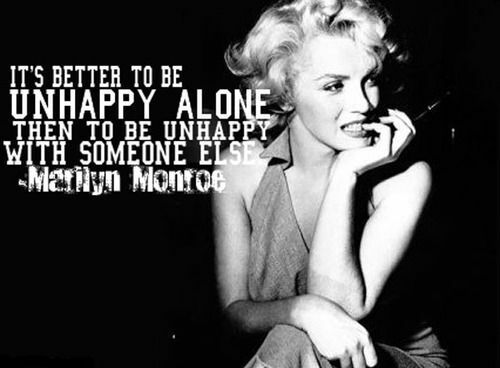 It’s better to be unhappy alone then to be unhappy with someone else.